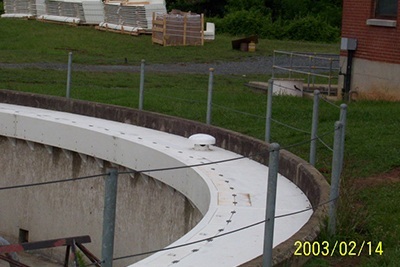 The Warminster Fiberglass Company offers top of the line algae/launder covers. 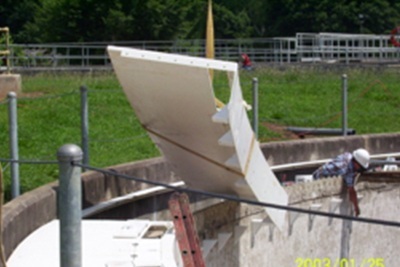 At Warminster, we are familiar with the high risk of algae growing in secondary clarifiers. Though the causes of algae growth may vary from case to case, it becomes difficult to remove it once it beds in. This is where you will find our Algae Control Launder Covers highly useful. The covers are designed to make it easier for you to access any algae-prone areas for inspection and cleaning. This includes troughs weirs, and the space between the weirs and scum baffles. This area offers the perfect breeding ground for algae because the conditions are suitable for their growth and there is no restriction. By placing our covers on top, you can prevent algae infestation. Rest assured, the operators will be able to access the area without hassle, even when cleaning. We realize the importance of regular cleaning, because algae can cause a number of problems. 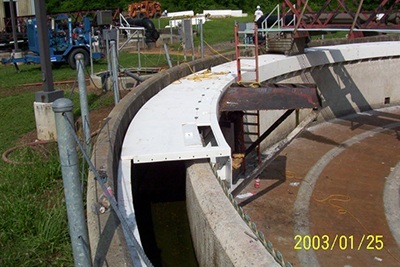 Your personnel have to constantly keep cleaning the weirs and troughs, and this cycle never needs, leading to unnecessary costs and inconvenience. Plus, algae growth can impair the performance of the system, especially if it gets into the pump mechanisms. The key to preventing algae is restricting sunlight and our Algae Control Launder Covers can do this job effectively. The design of our covers is efficient, with a fixed section that you have to mount on top of which the cover will be attached. You simply have to remove the top cover to access the area. We can customize the design to suit the specific area you want to protect from algae, which is a major benefit you can enjoy by investing in the Algae Control Launder Covers produced by Warminster. The Warminster Fiberglass Company was founded with a clear mission: helping our clients optimize and streamline their industrial processes. We have been in the business for close to six decades, since our inception in 1958.